The project’s kick-off meeting was held on Thursday, March 28 at IEM, in the presence of the project leaders and representatives of the Region’s services. The UNESCO SIMEV Chair, tool of the IEM-ENSCM, took the opportunity to present its activities to the representatives of POLYMEM in order to enhance and expand the partnership dynamics initiated. 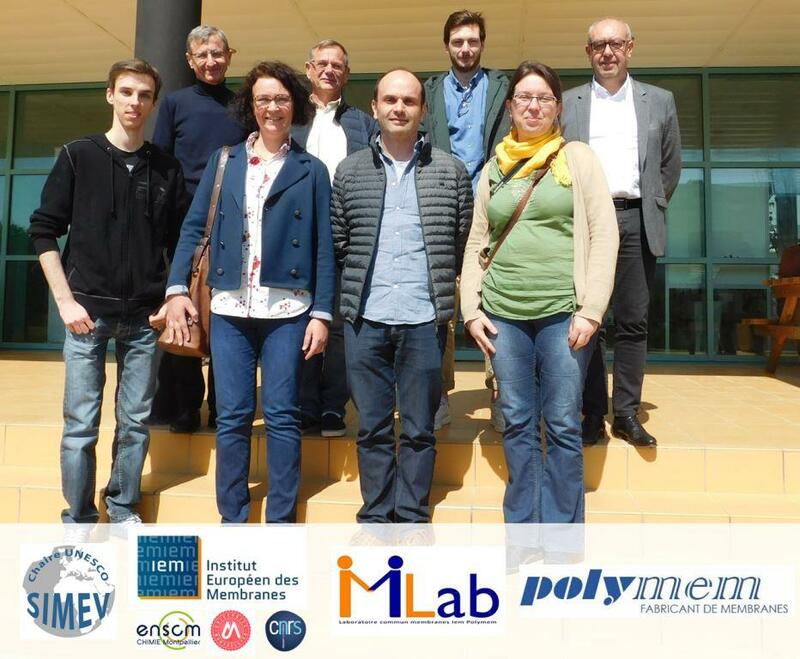 The European Institute of Membranes and POLYMEM, French manufacturer of organic hollow fiber membranes for water treatment, have pooled their scientific and technical expertise for ten years already. The MLab joint laboratory was created in 2015 with the support of the ANR. 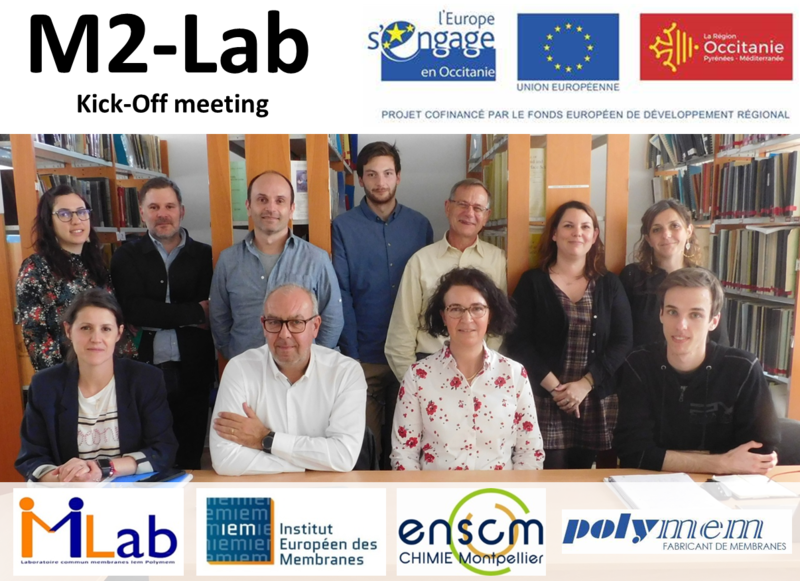 Today thanks to the new support from the Occitanie Region, this partenership project is developing through the creation of M2Lab, a joint laboratory for advanced processes for the manufacture of innovative membranes.The M2Lab is co-managed by Céline Pochat-Bohatier, IEM researcher at IEM (member of the SIMEV expert council) and Olivier Lorrain, R&D engineer at POLYMEM. 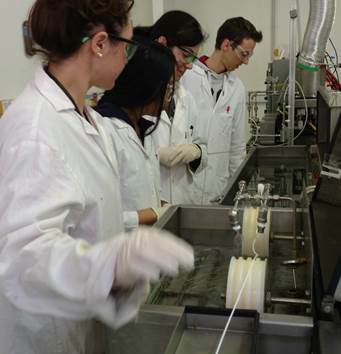 The main objective of M2Lab is to support POLYMEM in the development of new generations of membranes with controlled interfacial properties, in order to broaden its range of products. This partnership enables IEM to develop its expertise in the field of hollow fiber manufacturing and to improve its knowledge on the in-depth study of the nanostructuration mechanisms involved, according to the formulation and the parameters of the process. M2Lab also allows POLYMEM to strengthen its R&D capabilities in the field of materials analysis for better control of production to ensure the quality of finished products. Set up by the Occitanie Region, the Group for INnovative Applied Research with Enterprises (GRAINE) is an arrangement that supports public-private collaborations around technologies and/or industrial issues including research and training. It is within this framework that the M2-Lab project has been selected for co-financing (Region and FEDER – European Regional Development Fund) over a period of 36 months. Gilbert Rios took advantage of the presence at the IEM of Olivier Lorrain and William Maréchal, both R&D engineers at POLYMEM, to present the activities of the UNESCO SIMEV Chair and to discuss future collaborations for Southern Hemisphere countries. Olivier and William were interested in the dynamics of the Chair and ready to enrich its network of partners.